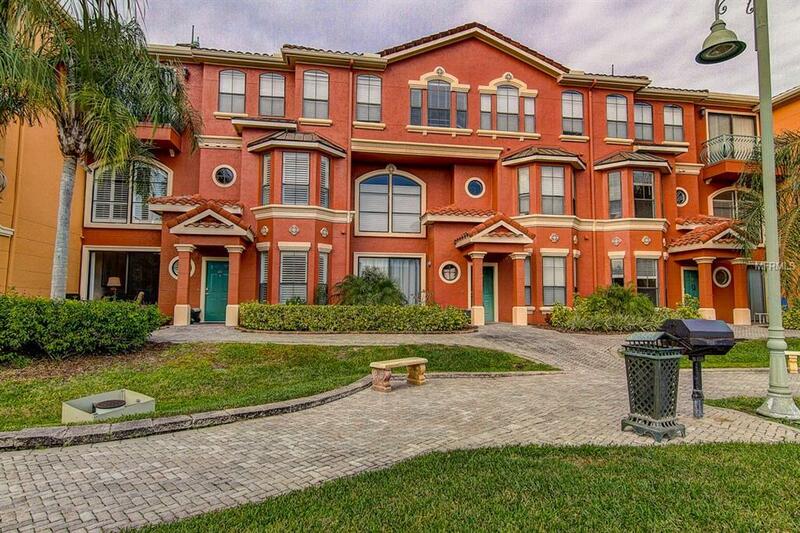 Spectacular waterfront townhome in the upscale "resort-style living gated community of Grand Bellagio at Baywatch. 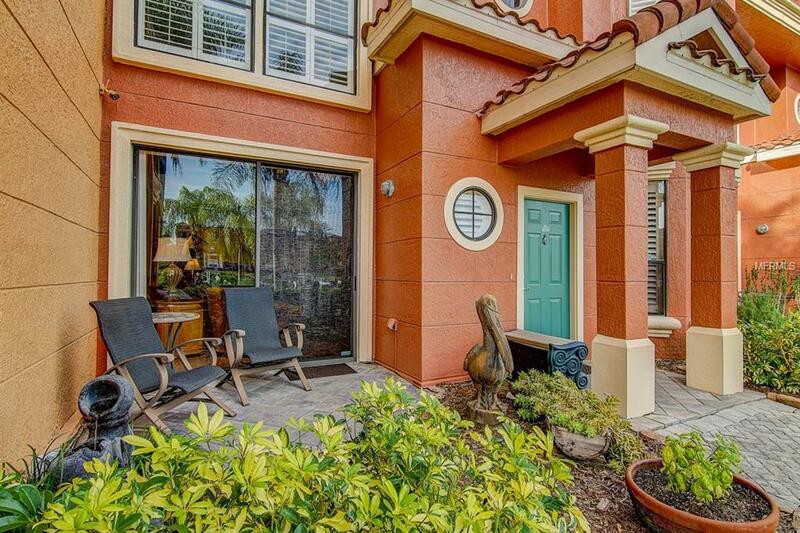 Overlooking old Tampa Bay, this open floorplan features a 2-story cathedral ceiling great room, chefs kitchen, 2 master suites w/walk-in closets, 2 spacious baths w/double vanities, large loft area ideal as a den/office, separate utility room, bricked landscaped patio & attached two-car garage w/ex storage. Over $65K remodeling kitchen, main level bathroom and living room in 2018. Refining your favorite recipes are a delight from the gourmet kitchen with sleek compilation of Maytag stainless steel appliances, quartz countertops, 42 wood cabinetry, custom recessed spice rack and LED color-changing programmable lighting. The opulent main floor bathroom retreat is especially luxurious featuring an 8-ft glass enclosure w/Grohe dual temperature controls, art pebbled floor and dual quartz vanities w/powered tower cabinet. Add'l upgrades hickory-textured porcelain tiled floors on main floor & engineered hardwood plank flooring on upper level, solid oak stairs & banister, berber carpet in bedrooms, plantation shutters & Hunter Douglas motorized shade, track lighting w/LED pendants, wall safe, garage door openers w/wifi. 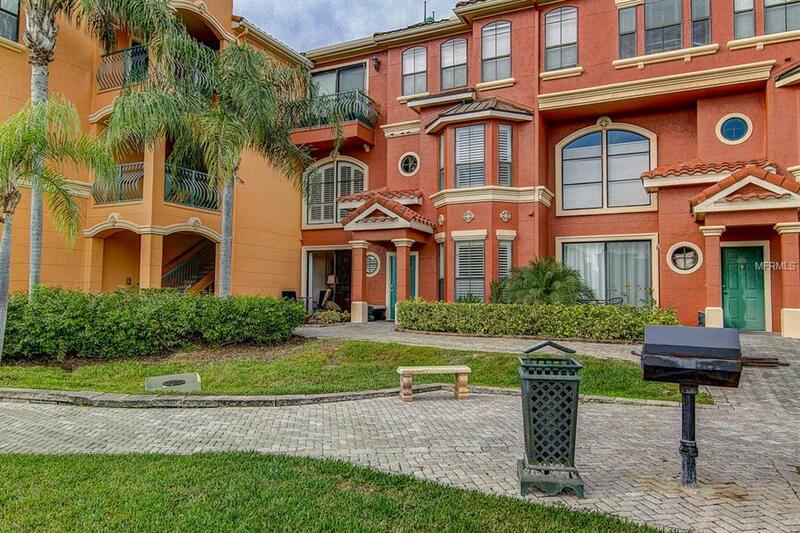 This home boasts of superior craftsmanship and designer finishes throughout. 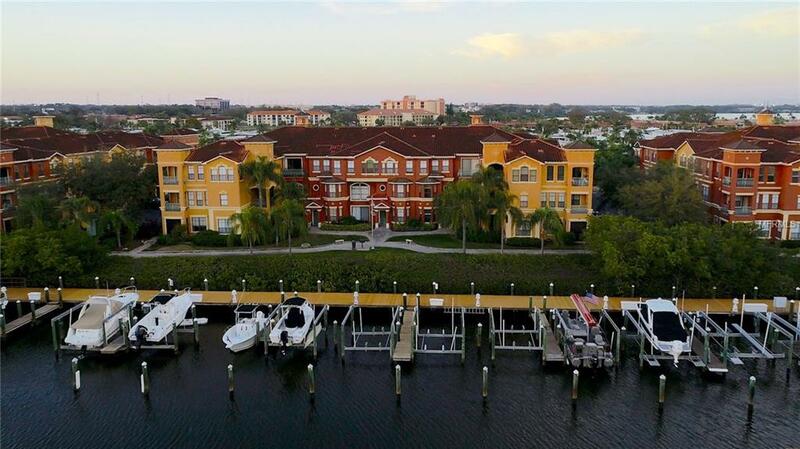 Large club house w/heated pool & private cabanas, spa, sauna, business center, 24-hr fitness center, lighted waterfront walking trail(1.5 mile) & complimentary kayaks. This is Florida living at its best! Listing provided courtesy of Palm Real Estate Inc.